Pre-Requisites: Little to no prior tumbling or gymnastic experience needed. All pre-requisites (if any) MUST be met prior to entering each class. But what most students do not understand is that a back handspring (and other skills) come from building blocks. 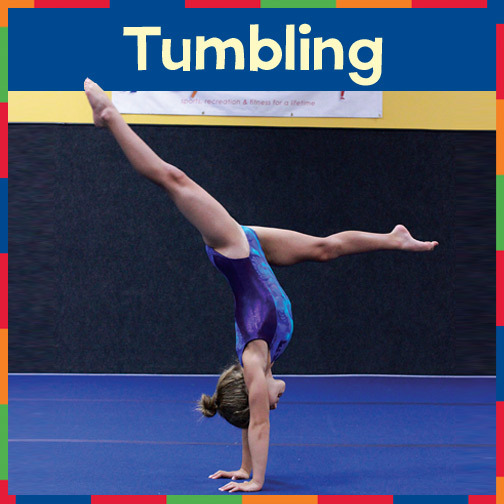 That is why gymtiME offers 4 different tumbling levels, to help the student progress at the correct speed! Skipping basics or NOT training with a certified instructor will lead to poor technique that can cause safety issues, injuries, and inability to progress to more difficult skills down the road.